Now if you’ve followed us for a while, you’ll know that we’re all for a healthy and natural lifestyle. So, you can imagine how excited I was to receive a PR Package from Ere Perez. For those of you who has never heard of them, they’re an Australian owned company that produces healthy, natural makeup. So, let’s get right into it! First, the Australian Blue Cypress Face Nectar (A$38) is Ere Perez’s new release and first skin care product. The product comes in a glass bottle that has a sleek design. It is enriched with Australian blue cypress, camellia, jasmine, frankincense, jojoba, grape seed, cedarwood, rice oils & vitamin E to balance and radically hydrate skin. The natural antioxidants, anti-inflammatory properties & omegas combine to help smooth your skin and reduce the signs of tiredness and sun damage. The face nectar can be used to prime your skin for a lifting glow & youthful dewy complexion or you can add a drop to your foundation and apply to face for a flawless and luminous look. They suggest applying 2-4 drops onto the face, neck and décolletage, morning and night. It has a unisex scent that smells mostly of frankincense. 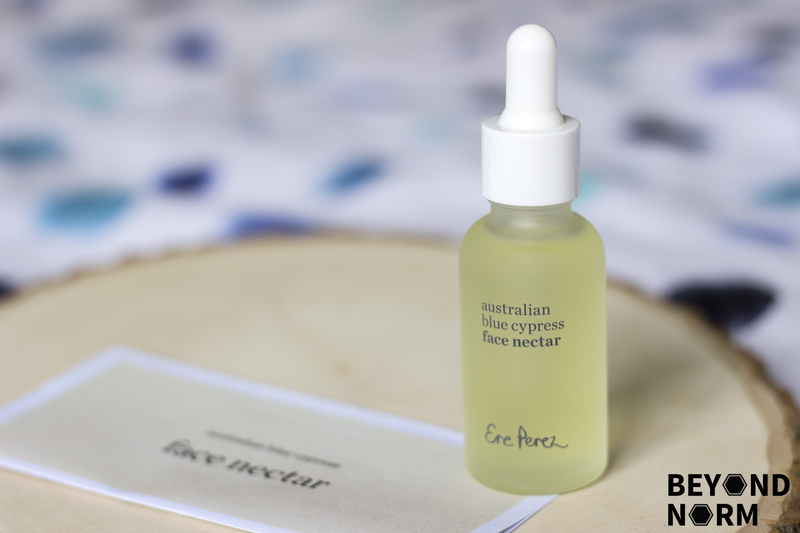 I’ve found that the face nectar is quite lightweight, and it absorbs into my skin quickly. 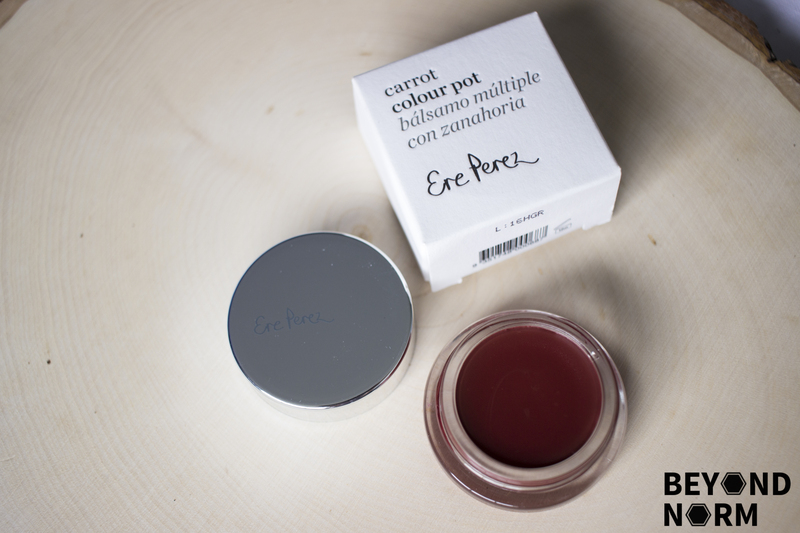 Next, we have the Carrot Colour Pot (A$32) in the shade Happy. It is a vegan multitasking cream-based product in a crimson red shade and can be used to add instant colour on both your cheeks and lips. It features many healthy ingredients like carrots, which is used for natural pigments and is said to have anti-aging and sun protection properties. It is also packed with hydrating antioxidants that are considered helpful in keeping skin soft and hydrated. The pot is nice and small which makes it easy to fit into your pocket or bag. I didn’t realise it’s intentional purpose when I made the video, but it also comes with a mirror lid for touch up. 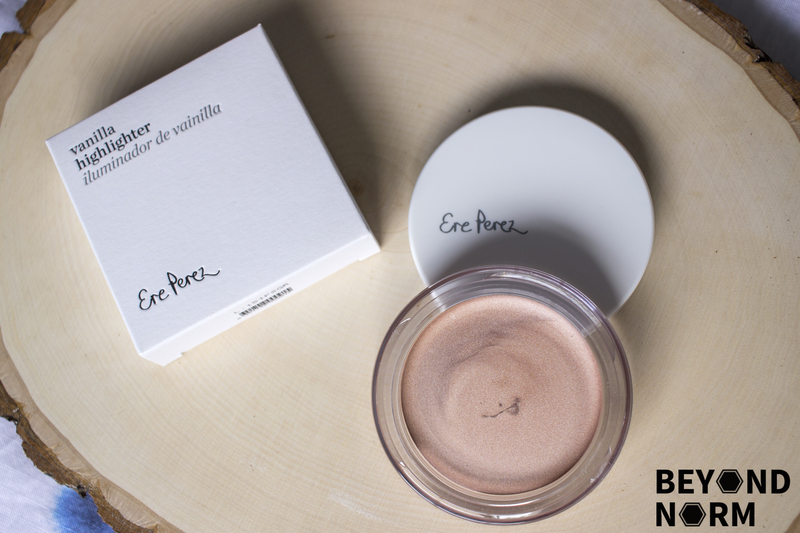 You can apply the balm with the Eco Vegan Multipurpose Brush or with your fingers (like I did)! I personally prefer using my fingers for this as I’m convinced that the body heat helps to create the balmy texture that you need for the product to apply smoothly. I also felt that I had more control of the intensity of the colour on my lips and cheeks. Another multitasker that I received was the Vanilla Highlighter (A$35) in the shade Falling Star. It’s a light reflecting silver shimmer cream-based highlighter. 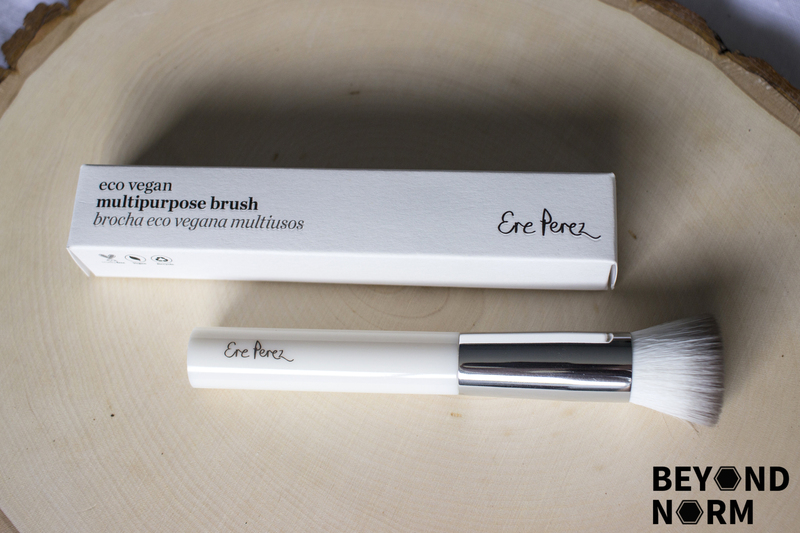 It can be used with the Eco Vegan Multipurpose Brush to accentuate the eyelids, brow bones, lips and cheekbones. The star ingredient, vanilla, is calming and relaxing which is perfect for stressed skin. It is also enriched with ingredients like olive oil, cocoa butter, avocado oil and grape seed oil. It can be applied to a fresh clean face or over foundation. If you’ll like some extra highlighting, you can apply the highlighter along the collarbones and décolletage. In my opinion, it comes off very natural and is wearable for everyday use. However, there is potential to layer more on for special occasions. I also love that it has a welcoming vanilla scent! The final product is the Eco Vegan Multipurpose Brush (A$33), which they claim is the best brush for all liquid and cream products, like their carrot balms and vanilla highlighters. I’ve only tested it out on their vanilla highlighter so far. It’s made with vegan bristles and a biodegradable corn resin handle. The bristles are nice and soft which makes it easy and gentle to apply wet products to the face. It blends well and offers a smooth coverage. Overall, I really enjoyed trying out their products and would use them again! Hopefully I’ll get to try out more of their products in future. You can purchase these from Ere Perez Cosmetics. What was your favourite product? Tell me in the comments below! Disclaimer: I was kindly gifted these products by Ere Perez cosmetics, but all opinions are genuine and my own.